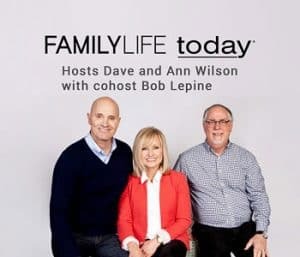 Editor’s Note: During the “FamilyLife Today” broadcasts, “Enticement of the Forbidden,” guest Judy Starr addressed issues surrounding infidelity. During their discussion, hosts Dennis Rainey and Bob Lepine promised Judy’s list of Eight Ways to Protect Your Marriage. We pray you find this list helpful in building the walls necessary to protect your marriage. To stand firm in the battle for our marriages, we must be prepared. 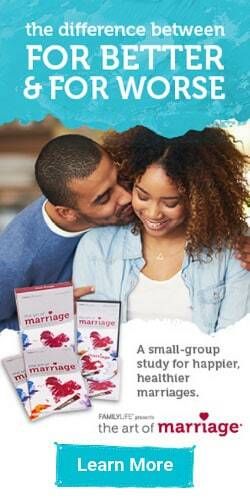 We can never assume that having a good marriage shelters us from temptation. In this age of “anything goes,” the wise woman will purposefully build walls around her marriage ahead of time to help close the door on opportunities for temptation…[L]et’s look at eight areas in which we can develop habits that build walls of protection around our marriage. Protect your marriage through daily times with God. I cannot emphasize strongly enough that your personal, daily time with the Lord builds an enormous wall of protection around your marriage. Time with the Lord each day immediately impacts your relationship with your spouse. When you fail to meet with God, your heart becomes hardened to the Lord and to His truths. And once that snowball of sin begins rolling, your marriage is instantly endangered. But as you cling to Him each day, you will confess sin and continue to grow in Christ’s likeness. As you keep God in His rightful place, not only will your marriage experience dramatic differences, but all of your relationships will be affected. Protecting your marriage by safeguarding your relationships with other men. You should never spend time alone with a man other than your husband. This included sports activities. Many an affair has started with the “harmless” act of a pleasant evening jog together. If your husband can’t participate in the activity with you, do it alone, do it in a group (preferably of women), or not at all. Protect your marriage through boundaries in the workplace. If ever a situation needed solid protective walls firmly entrenched around it to prevent infidelity, the workplace is it. Such protection requires predetermined decisions, all maintained through accountability to your husband and to other women. The practices of establishing an invisible wall and refraining from personal contact and conversations with other men are utterly critical. Without predetermining to follow these safeguards, you will effectively set yourself up to fall. Protect your marriage by guarding your eyes and ears. As for all of the Christian life, the key to guarding our eyes and ears is for each of us to remain sensitive to the Holy Spirit. We must take care to not engage in anything that draws our thoughts and hearts away from the Lord and from our husbands. By guarding what we see and hear, we keep impurity out and strengthen the walls around our marriage. Protect your marriage by guarding against the lure of the Internet. Any married woman seeking to fulfill her emotional needs through an Internet relationship must realize that her pursuits will lead only to heartache and enormous disappointment. Genuine godly love—the desire of every heart—can be found only in a committed relationship based on unconditional love. And though an Internet love relationship may be based on fantasy, virtual infidelity causes actual pain. The devastation to the spouse can be just as painful as if the partner had been involved in a sexual affair. The broken trust and the regrets are just as difficult to repair. Protect your marriage by spending time together. One of the best guards against infidelity comes from having your emotional needs met within your marriage. That means sticking to the plan of spending time alone together each week! Unless we purposefully protect that time, all of life’s little “urgent” needs will undermine our marital intimacy like termites that slowly eat away the foundation of a house. What can be more urgent than protecting your marriage? Protect your marriage through accountability. Accountability to a mature godly woman [is] invaluable…Accountability may be the key issue that makes or breaks our faithfulness to God and to our spouse. These eight crucial practices will strengthen and fortify the walls around your marriage. God may also show you other safeguards that are equally as important for your life and your particular vulnerabilities.